In 1978, writer/director John Carpenter released what would become an instant classic in not only the horror genre, but filmmaking in general with Halloween. With his mastery in creating a spine-tingling atmosphere, a terrifying serial killer and film icon in Michael Myers, and being combined with an iconic score that you’re sure to hear at least once every October, the film itself is unforgettable and remains near the top of nearly every horror film lover’s list. Halloween was so groundbreaking that it spawned seven (albeit not-so-great) sequels between 1978 and 2002, a Rob Zombie directed remake in 2007 which was followed by a sequel of it’s own two years later, and now Halloween (2018). Halloween (2018) takes place forty years after the original film in which Michael Myers stalked high schooler Laurie Strode (Jamie Lee Curtis) and went on a killing spree in the small town of Haddonfield, Illinois on Halloween night. This new film also effectively eliminates everything that took place after the original film in Halloween II (1981) through Halloween: Resurrection (2002), making it a true sequel in the spirit of the first film. Back is Jamie Lee Curtis as Laurie, forty years older and still traumatized by the events of that fateful Halloween night. There are three generations of Strodes in 2018, but Laurie’s inability to cope with or get over the events of that terrifying night has put an everlasting strain on her relationship with her daughter Karen (Judy Greer) and subsequently her granddaughter, Allyson (Andi Matichak). Laurie is estranged and isolated to a tightly secured cabin in the woods, where she spends most of her time preparing for her worst nightmare – Michael escaping and coming after her once again. Being that forty years has passed (and six* movies retconned), there is a lot of ground to make up. The screenplay by David Gordon Green (also directing), Danny McBride (yes, that Danny McBride), and Jeff Fradley catches the viewer up through expositional dialogue that’s never too heavy handed. In addition, the trio does an excellent job filling the film with remarkable callbacks to the first film that will garner much appreciation from the fans. Not only do they pay homage to the 1978 predecessor, but they even find ways to take humorous jabs at the films in between, reducing their stories down to rumors and legends. It’s quite remarkable and I loved every minute of it. After an intense opening scene with some journalists trying to speak with with Michael, who’s been institutionalized for forty years and having never spoken a single word, the viewers are treated to a brilliant title card and credit scene which had me smiling from ear to ear. I was moderately excited for this movie already, but as the title credits began to roll along with its iconic score, I had never been more excited than I was that very moment. The plot is relatively simple when it comes down to it, but it doesn’t detract from the roller coaster ride that’s about to transpire on screen. Michael is scheduled for transfer to another facility conveniently just before Halloween night, and as you may have guessed, things go awry and Michael is on the loose once again in Haddonfield. Laurie, who’s been monitoring his every move, is aware of his escape and brings it upon herself to protect her family from the boogeyman and hopefully end this once and for all. The camera work in the film is fantastic. Green does an incredible job setting up his shots to create tension and effective imagery of his own while also replicating some of the iconic shots created by Carpenter in the film’s predecessor. One of the best shots in the movie is an incredibly well crafted (and gruesome) single take scene in which we see Michael return to form on Halloween night as he roams a neighborhood hunting his prey and will leave viewers stunned and salivating for more. What surprised me most was the comedy, though I guess maybe it shouldn’t have been too surprising considering Green directed Pineapple Express and the screenplay was co-written by the always hilarious Danny McBride. With the exception of one quick line near the beginning of the film, the comedy never feels out of place or forced and helps alleviate some of the tension if only for the tiniest moments as we approach the climactic final act. 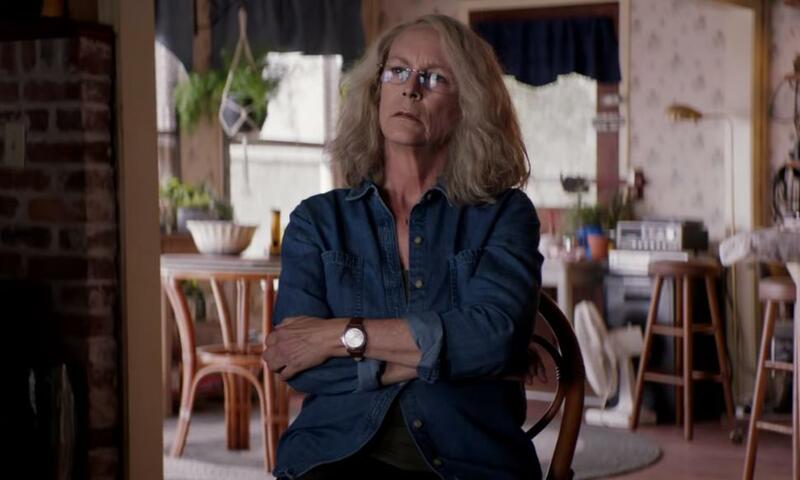 Jamie Lee Curtis is at the top of her game portraying Laurie once again. Every word she speaks, every mannerism and action she takes – all very believable as someone who wants closure. She’s someone who’s life was changed by one fightful night and she spent the rest of her life preparing for the possibility of one final showdown with the boogeyman. She gets her showdown, but is it truly the final one? You’ll have to see it and decide for yourself. 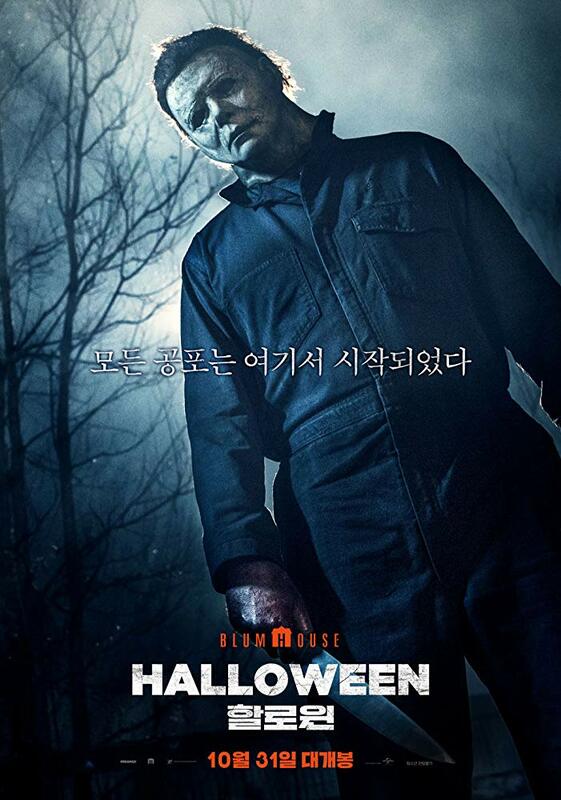 With the typically small Blumhouse budget of ten million dollars and seeing an abnormally long line wrapped around the building for just a single screening of the film – it’s hard to believe that Halloween (2018) won’t see massive (and deserving) success at the box office in the weeks to come. Only time will tell if this truly is the the final chapter or a new beginning. * Michael Myers did not appear in Halloween III. It stands alone under the Halloween franchise, so I guess technically, it’s still canon? Happy happy Hall-o-ween!